I have to apologize first because I haven’t been posting here as often as I’d like. 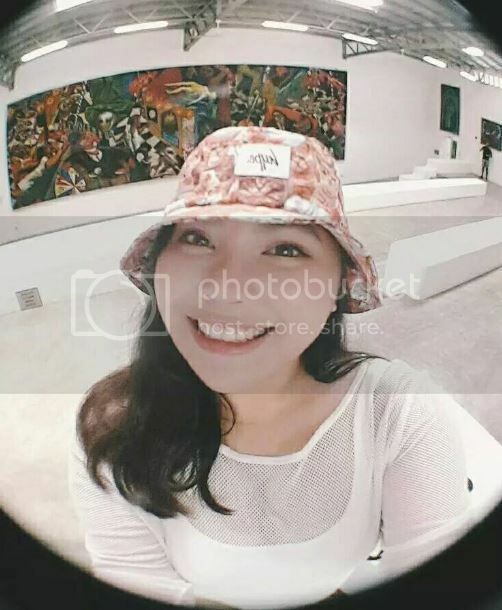 When I came back from Seoul, I was literally swamped with so much academic work and even during my holidays I was so preoccupied by so many things that I neglected everything that has to do about blogging. But here I am and I’m back with my first ever review on something that I have been using for about 4 months already. I guess I have to say that I can say solid opinions regarding it already. 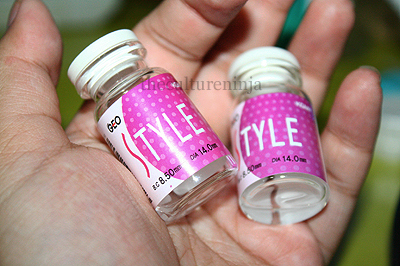 I bought my lenses from an optical shop in Hongdae called Cutie Eye. They specialize in cosmetic lenses because they are popular in Korea and in other Asian countries. Circle lenses are their best sellers because a lot of girls (or even boys) love to achieve the “doll eye” look. With the help of circle lenses, they increase the appearance of the diameter of your eyes making them appear larger. They also enhance the color of your eyes since they come in a lot of colors. I got myself 3 pairs of circle lenses because I thought they sold them cheaper there in Korea and I wanted to know why they’re so popular. I got myself Black Dolly Eyes, Violet Hurricanes, and Nudy Grays. I got two safe colors and one bold color to try out since I figured I probably need one standout lens for fun. 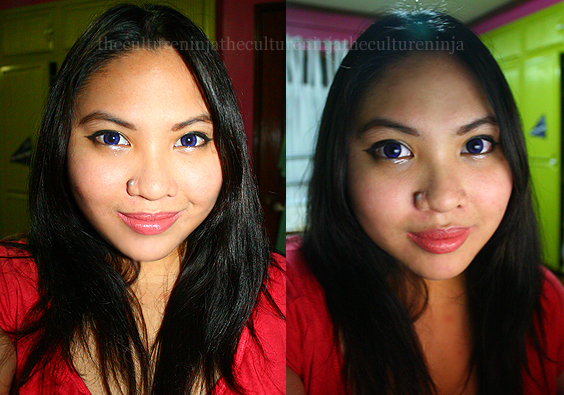 I have to say that ever since I got back and tried all the lenses I bought,I was hooked on circle lenses. I’m a makeup person and sometimes when I’m really lazy to put on makeup, I just wear my circle lenses alone and they’re enough to pull off a made up look. I got so addicted to these that I bought a pair of EOS Max Pure Pink circle lenses here recently and I can’t wait to review them after this. 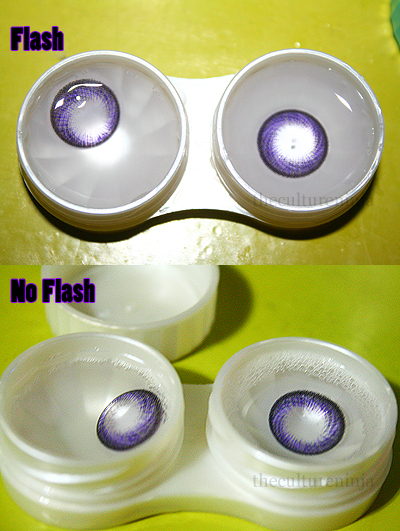 The lenses I’m reviewing now are the GEO Violet Hurricane circle lenses because I have to admit, these are my favorite among the lenses I bought. I’ll be reviewing the EOS Max Pure Pinks, Nudy Grays and Black Dolly eyes when there’s a need for them. When worn, these lenses aren’t that overwhelming under natural light. They just give a subtle hint of color to my brown eyes and surprisingly they blend naturally to them. I often even wear these to school and people just notice them when they look up close to verify whether or not my eyes are indeed purple. It’s not the same case in photographs though when there’s a need to use flash. These appear stark purple in flash photography. The purple is so strong that even if photos aren’t taken up close you can definitely tell that I’m wearing purple lenses. Overall this is what I have to say about these lenses. – Very comfortable. Feels like I’m not wearing contacts at all. I promise after this post that I will be doing more reviews, especially my purchases back in Seoul. I have a ton of Makeup and Skincare to review after this. PURPLEEE i want to try!